Apple has moved away from its traditional role as an early adoptor of display technology, DisplaySearch vice president David Hsieh writes in a post to the company blog, but that is set to change over the next year. Citing supply chain research, Hsieh says that Apple will count on display technology for new product innovation in late 2013 and throughout 2014. Hsieh believes that Apple's display tech turnaround will begin later this month when Apple reveals its new iPads in a media event. That event, according to DisplayTech, will see the introduction of an iPad mini with a Retina display. Such a device has been rumored since the release of the first iPad mini, but analysts disagree over whether Apple will be able to push out a new mini in time for the holiday season. Many have noted the difficulty of putting a battery capable of supporting a Retina display into the mini's small form factor, but Hsieh predicts the next generation of mini will feature a 2048x1536 display when it is unveiled. It is clear from its products that Apple is a strong believer in high resolution, wide color gamut and wide viewing angle displays. Hsieh also says another long-anticipated iOS device will make an appearance next year, an iPhone with a 4.7-inch 1280x720 display. The DisplaySearch note points to not only one larger-screened iPhone, but two, with the second being a "phablet" device packing a 5.7-inch display outputting at 1920x1080. Those devices, the report predicts, will hits shelves in the fourth quarter of 2014. Putting a larger screen on Apple's bestselling device has been the suggestion of many analysts over the past year. While the iPhone is still the best selling smartphone on the planet, its competitors dwarf it in terms of screen size. Rumors saying a larger iPhone is in the offing regularly pop up, typically accompanied by an explanation of how the larger screen will help Apple push back against its competitors. Apple CEO Tim Cook has not ruled out the possibility of a larger screen for the iPhone, but he says such a device would only emerge once Apple can do it without trade-offs in power consumption, longevity, color reproduction, and other factors. Hsieh's report also sees Apple releasing an iPad with a 12.9-inch display outputting at 2732x1536 in 2014. Other recent reports have pointed to such a device as a likely outgrowth of Apple's choice of a 64-bit processor for the iPhone 5s. 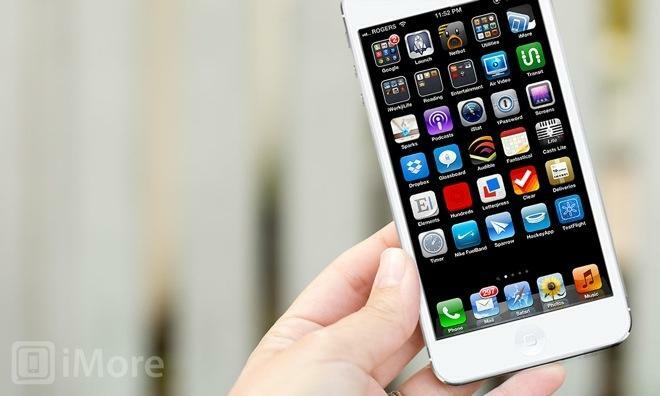 ...we believe Apple is planning to revamp nearly all of the displays in its products over the next year. This would indicate that Apple, once again, intends to count on display technology for new product innovation. Hsieh DisplaySearch sees Apple finally bringing Retina display technology to its ultra-lightweight notebook in 2014. While the 2013 MacBook Air saw praise for its long battery life, some questioned Apple's decision not to release the device with a high-resolution display. Such an inclusion, though, might have cut down on the Air's "all-day battery life," a major selling point for Apple. Hsieh believes that Apple will change that with the 2014 model, leveraging low-power chips to balance out any increased power consumption from the display. Hsieh's report also points to two heavily rumored Apple products that have seen less press as this year's iPhones and iPads approached launch. DisplaySearch believes the iWatch wearable device and the long-rumored Apple TV will both see release in 2014. The Apple TV, according to Hsieh will debut in 55- and 65-inch 4K LCD models in the third quarter of next year, while the fourth quarter of 2014 will see the iWatch appearing with a 1.3- or 1.63-inch flexible AMOLED display outputting at 320x320. Apple has not commented on the existence of either an iWatch or an Apple-branded television set. Instead, the company has only hinted that it has product "surprises" slated for late-2013 and all of 2014.